Less than five per cent of Red Deer’s general population, but more than 44 per cent of the homeless population. The Aboriginal Voices on Housing Network will deliver its official report, Red Deer Aboriginal Housing Gap Analysis: Towards an Aboriginal Strategy June 2. The launch includes representatives from four levels of government. Researcher Linda Many Guns of the University of Lethbridge will present her findings and recommendations. “It’s the very first time this kind of research has been done in the City of Red Deer specific to Aboriginal citizens,” said Raye St. Denys, executive director for Shining Mountains Living Community Services, the host organization for the housing network’s project. Partners also include Métis Urban Housing Corporation, Urban Aboriginal Voices Society and the Red Deer Native Friendship Society. The project brought together cross-sector housing organizations to focus on decreasing the level and severity of homelessness experienced by Indigenous people and to address the systemic barriers that continue to make Indigenous people vulnerable. 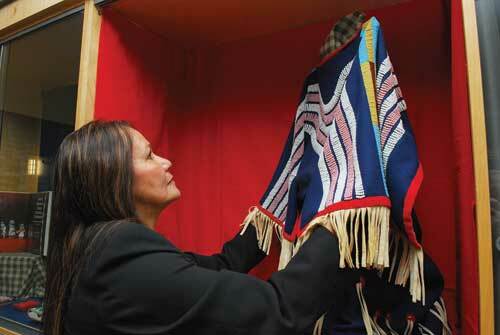 The research is intended to be used as the foundation for the development of an Aboriginal Housing Strategy. Indigenous people account for less than five per cent of the population in Red Deer, but are more than 44 per cent of the homeless population. “The need for an Indigenous-led approach is very clear from the proportion of homeless people who are Aboriginal in Red Deer and in most major cities in Canada. In fact, without Indigenous people taking the lead, initiatives are not only likely to fail, but they add to the impact of colonization. We need to be in decision-making roles, not just the recipients of services,” said Jessica Daniels, coordinator of the housing network project.